The recipe for this quiche was born from what was available in the fridge at the time, the way most of my cooking usually goes. Caramelized shallots layered in the bottom of the quiche add a depth of flavor which does not over power the tender spring asparagus. Since the asparagus is not precooked, choose thin stalks. Any white cheese with good melting properties can be chosen. Ours is made with aged white cheddar. Making the quiche in a Springform pan allows the crust to be showcased when serving and makes it easier to slice. It also is the ideal way to achieve a deep dish quiche. Choose a crust recipe for a 9 inch pie and use an 8 inch pan so you can extend the crust up the sides. Heat the oil in a sauté pan and slowly cook the onions until they are very soft and the sugars caramelize into a nice golden brown. Stir often and add a teaspoon of water now and then to prevent from burning. Cool. Slice the top of the asparagus spears about 3 inches long. Dice the remaining stalk into 1/2 inch lengths. Discard the tougher ends. The spears will be reserved for the top of the quiche. Whisk the eggs, cream, Dijon, salt and pepper together. Fit the pie crust into your Springform pan. On the bottom. Spread the shallots. Next layer the ham and small diced asparagus. Sprinkle on half the cheese and half the chives. Pour the cream and egg mixture evenly over the whole thing. Sprinkle with the remaining chesse and chives. Finish with the longer asparagus spears creating a circular pattern as you work. Place the pan on a baking sheet to catch any spills and bake at 375F for 40 minutes, until golden and set. Cool 15 minutes before removing sides of the Springform. 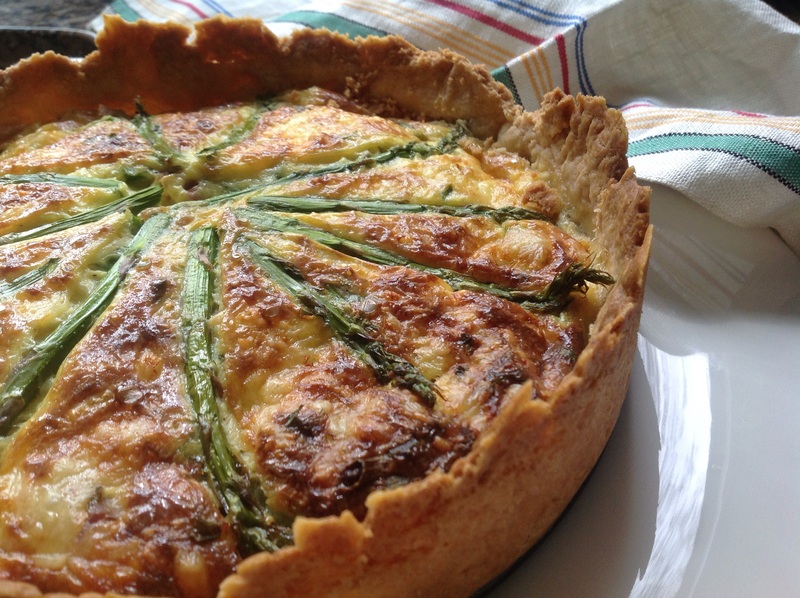 This entry was posted in Uncategorized and tagged Asparagus shallot and ham quiche, ham and asparagus deep dish quiche with caramelized shallots by Johanne Lamarche. Bookmark the permalink. I love quiche and this one is fantastic! So fluffy and perfectly browned. Glad to have found you this morning. I barely got a taste, it disappeared so fast so I guess it was! Thanks for stopping by . Sure but I’ll have to make another one! It vanished! Beautiful!! Those caramelized shallots sound delicious nestled in the bottom 🙂 Would love a slice for brunch! Be my guest! Glad you liked it! I do love asparagus, especially when they are together with onion! This quiche looks super yummy! Glad you’ll try it! Making the quiche in a springform makes it look so much more impressive but it’s not difficult. Enjoy! Johanne this is one beautiful quiche. I, too, am a lover of the springform pan for this type of recipe. Much easier to cut pretty slices than out of a traditional pie plate. Prettier too. Sometimes a quiche is just the perfect thing to make with all those bits and pieces left in the vegetable drawer. Comforting is what a quiche is I think. Familiar, delicious and comforting. Thanks for sharing. 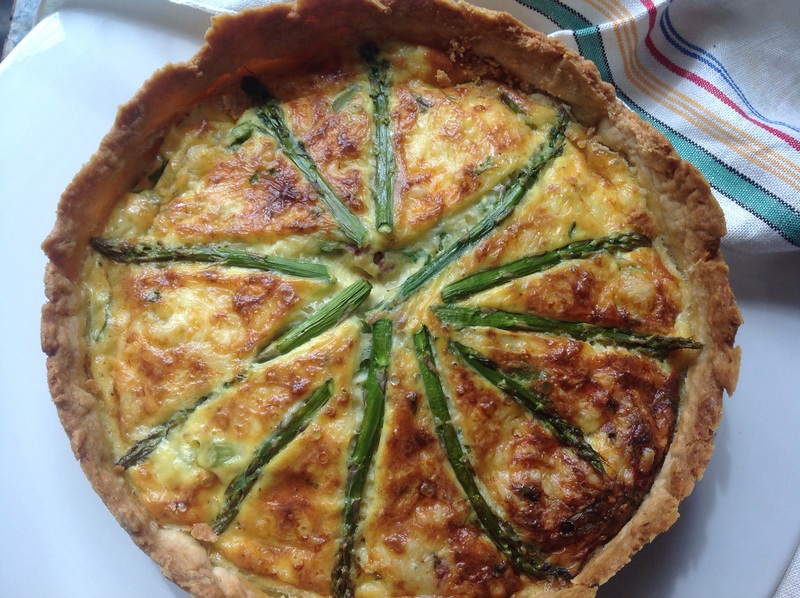 Your white asparagus quiche from last year inspired this one Teresa! I love the springform for quiches too. Makes them look so impressive doesn’t? And easier to cut for sure. Thank you! It’s all because of the springform pan! Wonderful ingredients and gorgeous presentation!! Thank you Amanda! Thanks for stopping by. Johanne this looks amazing! 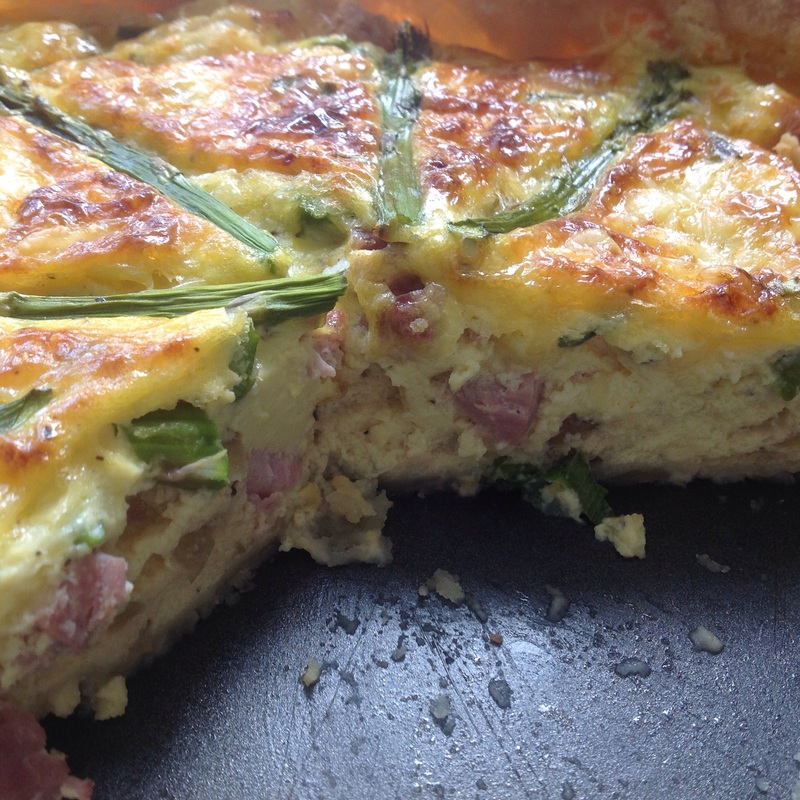 I am a big fan of quiches, always good for feeding lots at a party, and always yummy (though I’ve not tried your flavour combo before – I need to, asparagus is my favourite vegetable! Well, tied with artichoke), but yours has the added bonus of being visually stunning! I absolutely love the tall, rustic crust look, such a great idea to use a springform tin – I’ve always used a pie dish and never realised how much better it could be! Now I am excited all over again to make quiches for parties with your beautiful presentation! Thanks for joining the party! Thank you so much Anna! 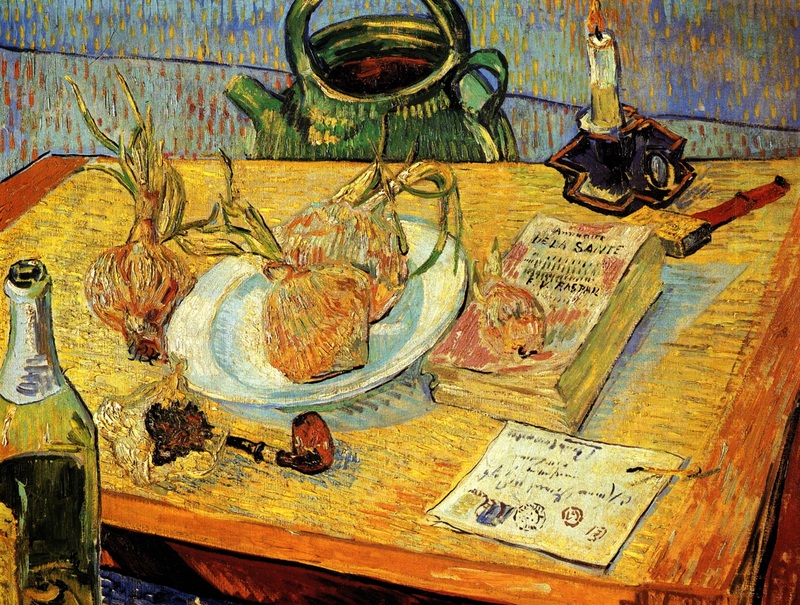 I love artichokes too! We should come up with an artichoke quiche recipe. So gracious of you to host us solo and to write such thoughtful commentary. Thank you and happy FF weekend! Thank you Josette! So could I 🙂 i made a similar quiche with white asparagus which I just love so much but can’t find as often!